Of a poet in times of such indigence? When everything sang, got injured and wounded. ● Hélia Correia (born 1949): a Portuguese novelist, playwright, and poet. 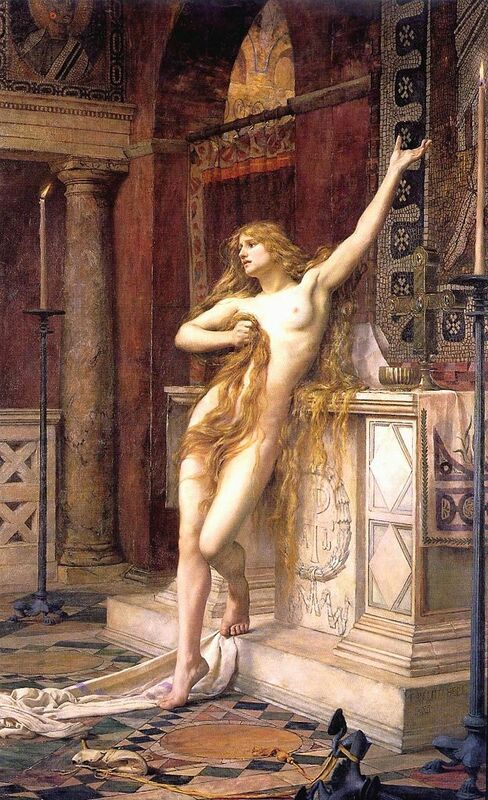 She reinterpreted Hellenic myths from the point of view of female heroines, such as Antigone, Helen, and Medea. 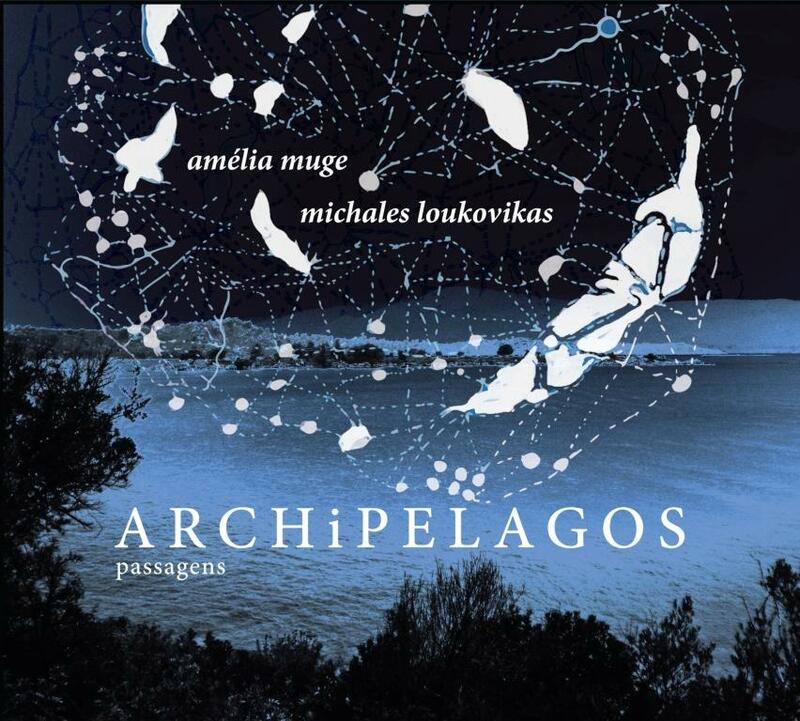 The sequence In Times of Indigence is mainly based on her acclaimed poem A Terceira Miséria (2012), a tribute to Greece, following in Friedrich Hölderlin’s footsteps. She was awarded the Camões Prize, the most prestigious literary distinction in the Lusophone world, which she dedicated to Hellas, where poetry comes from, without which we would be nothing and have nothing, as she said, concluding her speech with the exclamation Long live Greece! 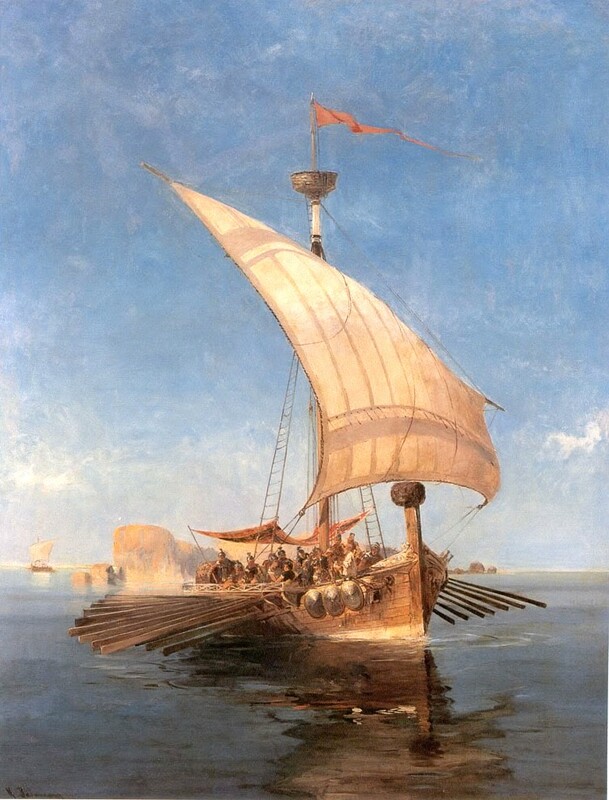 ● Argonauts: heroes in Hellenic mythology who, in the years before the Trojan War, around 1300 BCE, accompanied Jason to Colchis, on the Black Sea coast, in present-day Abkhazia and western Georgia, in his quest to find the Golden Fleece. The term comes from their ship, Argo, named after its builder, Argus. Thus Argonauts literally means Argo sailors. ● While sailing by eastern Phrygia, they encountered stormy weather and, advised by a prophet, they climbed Mount Dindymon, sacred to the mountain mother, Cybele, whom the Hellenes identified with Rhea. There they offered sacrifices to the Dindymene mother and, commanded by Orpheus, they danced in full armour and clashed with their swords on their shields… Hence from that time forward the Phrygians propitiate Rhea with the rhombus and the drum. And the goddess responded: the trees shed fruit, the earth put forth flowers, and wild animals came up wagging their tails. And she caused yet another marvel; for hitherto there was no flow of water on Dindymon, but then an unceasing stream gushed forth from the peak, and the dwellers around called that stream Spring of Jason. And then they made a feast in honour of the goddess on the Mount of Bears, singing the praises of Rhea most venerable; at dawn the winds had ceased and they rowed away from the island. ●Agora: a central spot in ancient Hellenic poleis. Literally it means gathering place, assembly. 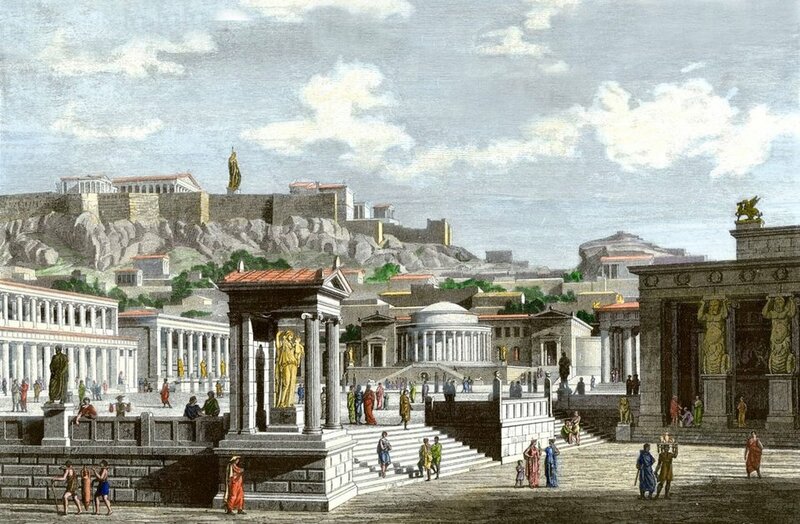 The agora was the centre of political, artistic, spiritual and athletic life of the city. Later, it also served as an economic centre, as a marketplace, where merchants kept stalls or shops to sell their goods. This attracted artisans who built workshops nearby. 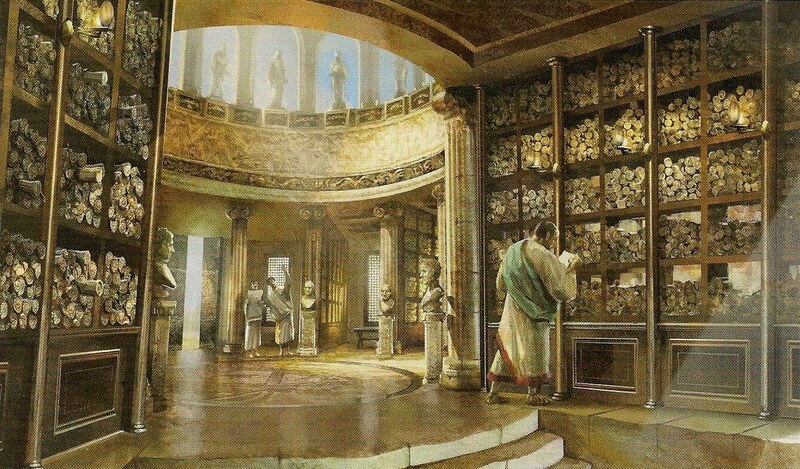 From this twin function of the agora as a political and commercial space came the two Greek verbs ἀγορεύω, agoreúō, I speak in public and ἀγοράζω, agorázō, I shop, I buy. Who liked to take sides during the battles. ● Odyssey: see Homer in ARCHiPELAGOS • VII. IMAGINARY ISLANDS. 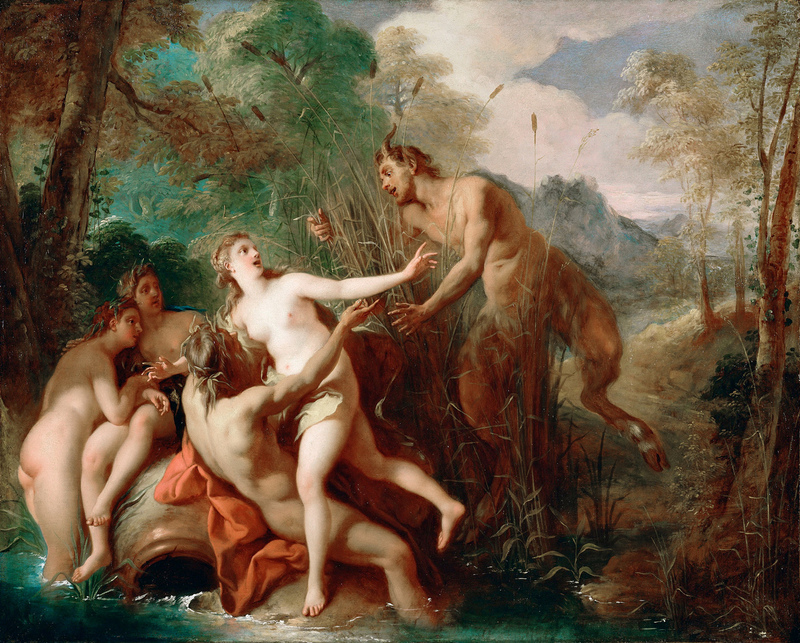 Pan and Syrinx, by Jean François de Troy. 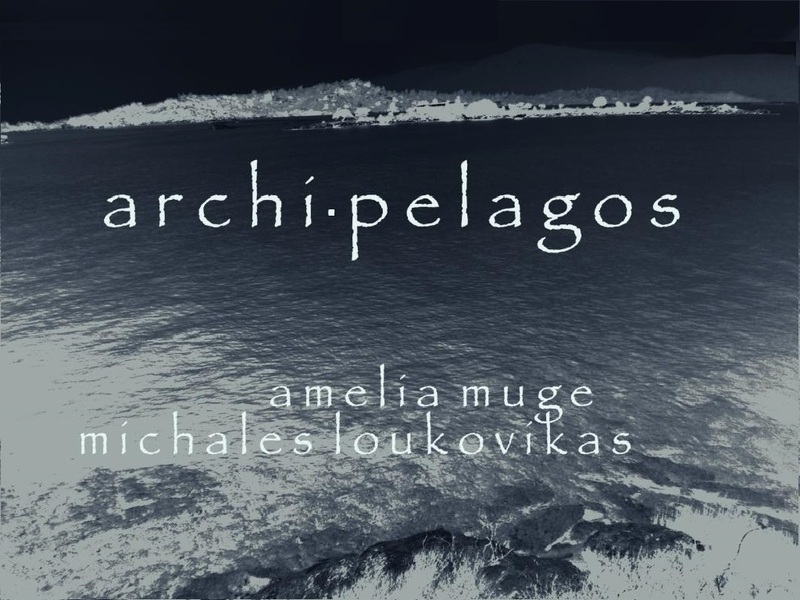 ● Aegean Islands: see ARCHiPELAGOS • I. THE ARCHIPELAGO REVISITED. ● Pan: the god of the wild, shepherds and flocks, mountains, and pastoral music, connected to fertility and spring. He had the hindquarters, legs, and horns of a goat, just like a satyr. 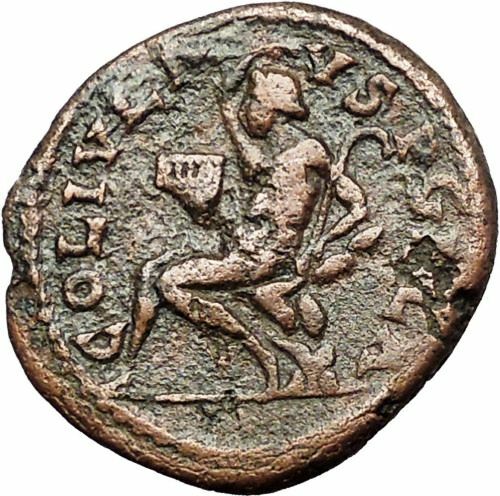 The Greeks also considered him to be the god of theatrical criticism. His name originates from the Greek verb πάειν, páein (to pasture); the word panic is derived from his name, due to the sudden fear the people felt in the mountains hearing strange animal sounds. Syrinx, a nymph known for her chastity, was also panicked when she was chased after by Pan. In order to escape, she was transformed into hollow water reeds that made a haunting sound when the god’s frustrated breath blew across them. He cut the reeds to fashion the first set of pan pipes, which are also known as syrinx. Pan became a significant figure in the Romantic movement in the 18th and 19th centuries, and also in the Neopagan movement of the 20th-century. From the ruin of Hellas. 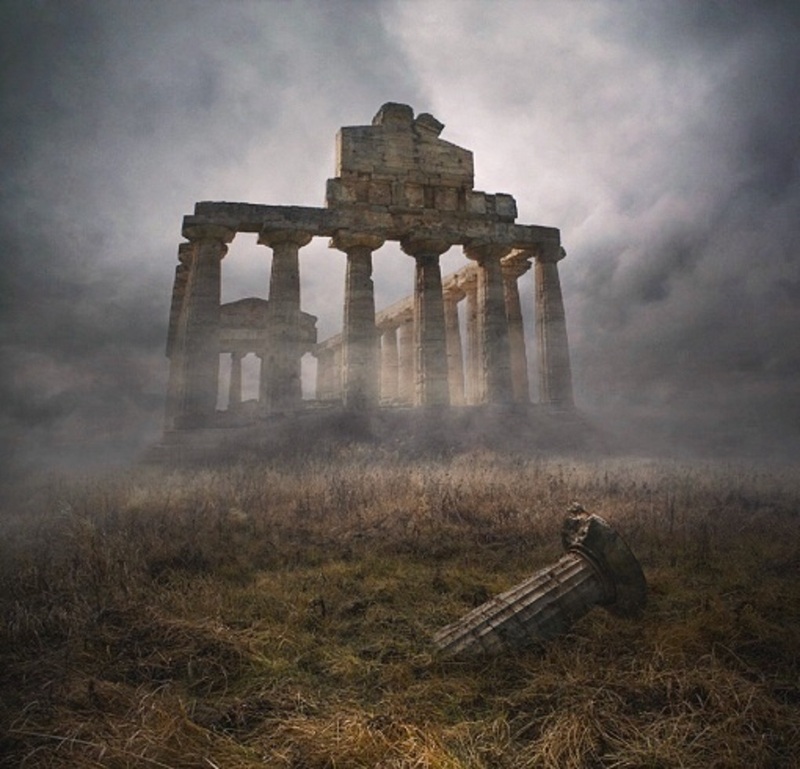 Hellenic ruins in the fog. ● Atheism: the absence of belief in the existence of deities, the rejection of belief that any deities exist. It is contrasted with theism, which is the belief that at least one deity exists. The etymological root for the word originated before the 5th century BCE from the Greek ἄθεος (atheos), meaning without god(s). The actual term atheism emerged in the 16th century. ● Monotheism: the belief in the existence of only one god that created the world, where he interferes and is all-powerful. A distinction may be made between exclusive monotheism, and both inclusive or panentheistic monotheism which, while recognizing various distinct gods, postulate some underlying unity. Monotheism is distinguished from henotheism, a religious system in which the believer worships one god without denying that others may worship different gods with equal validity, and monolatrism, the recognition of the existence of many gods but with the consistent worship of only one deity. Out of which the Occident has been lost. The third misery is this one, […]. That of those who just don’t listen nor ask questions. The statue is turned into dust. 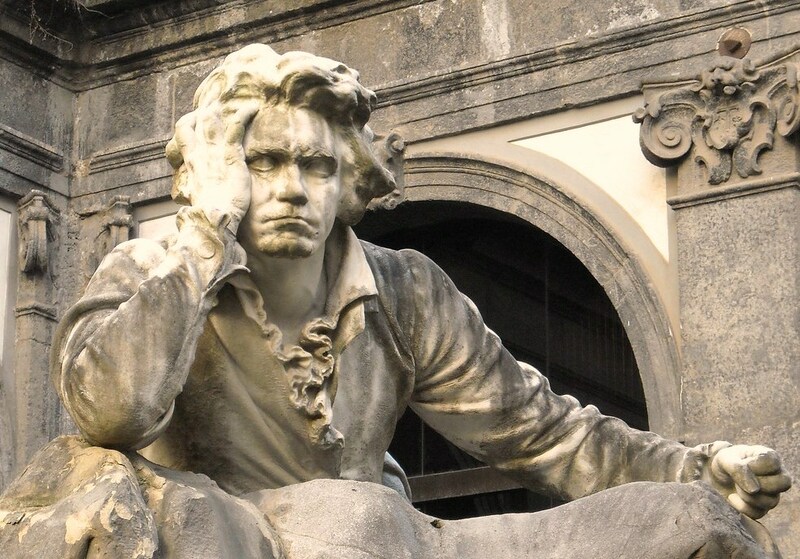 ● Ludwig van Beethoven (1770 – 1827): a German composer and pianist, a crucial figure in the transition between the Classical and Romantic eras in Western art music. He remains one of the most famous and influential of all composers. ● His Third Symphony, a large-scale composition completed in early 1804, is one of his most celebrated works. Initially he dedicated it to Napoleon Buonaparte (its original title), who he believed embodied the democratic and anti-monarchical ideals of the French Revolution. He tore off the dedication when he learned that Napoleon had declared himself Emperor. The score was published in 1806 under the Italian title Sinfonia Eroica, composta per festeggiare il sovvenire di un grande Uomo (Heroic Symphony, composed to celebrate the memory of a great Man). When informed of Napoleon’s death (1821), Beethoven said, I wrote the music for this sad event 17 years ago, referring to the second movement, Marcia funebre, funeral march; Adagio assai, very slow; Sotto voce, low voice: intentionally lowering the volume of one’s voice for emphasis, giving the impression of uttering a truth which may surprise, shock, or offend. In music, it is a dramatic lowering of the volume, vocal or instrumental – not necessarily pianissimo, but definitely a hushed tonal quality. 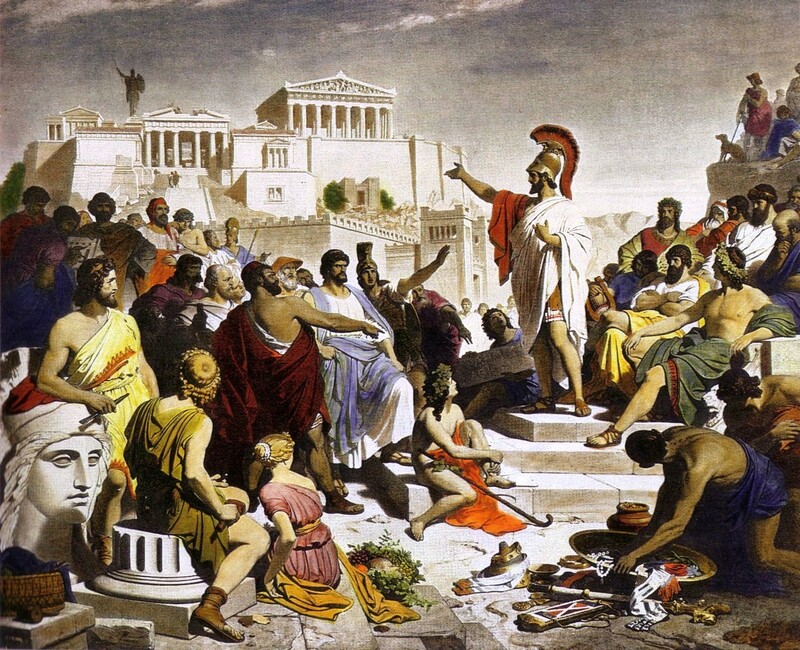 ● Democracy (δημοκρατία, rule of the people) was conceived in classical Greece as a system of government where the citizens exercised power directly, not through representatives. 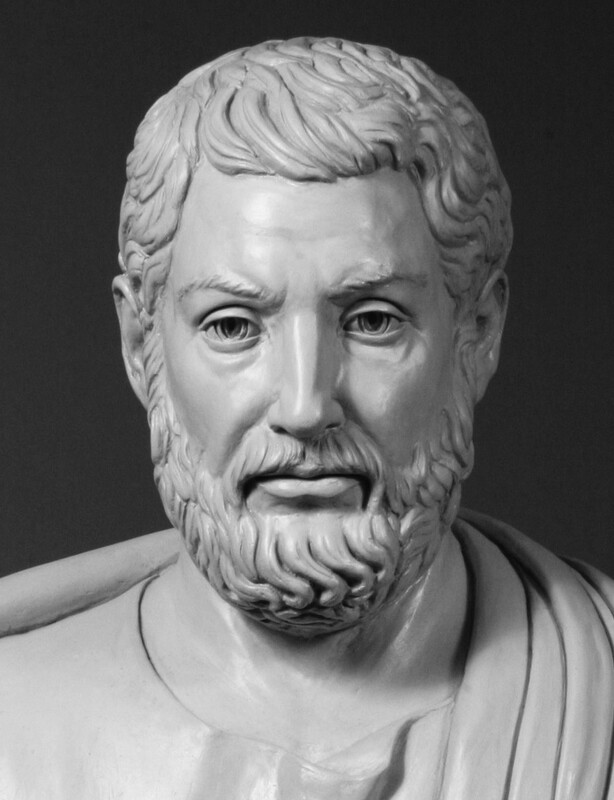 The first democracy in the world was established in Athens in 508 BCE under Cleisthenes as a direct, participatory system, in which the citizens voted directly on legislation and executive bills, while those selected for office served collectively. The selection was done mostly by lot, not election, because the latter favours the rich, noble, famous, educated, eloquent, and handsome. Allotment was regarded as the most democratic means to prevent the corrupt purchase of votes and give citizens a unique form of political equality. In this way more and more citizens were engaged in politics, ruling and being ruled in turn, as Aristotle wrote. Elected rather than chosen by lot (therefore coming from the higher classes) were the ten generals, due to their necessary expertise in matters of politics and war, and also those who handled large sums of money: any embezzlement could be recovered from their estates. The contempt the first democrats felt for those who did not participate in politics is obvious in the word idiot, from the Greek ἰδιώτης, i.e. a private person, someone who is not actively participating in politics. We do not say that a man who takes no interest in politics is a man who minds his own business, Pericles declared; we say that he has no business here at all. ● Pericles (c. 495 – 429 BCE): a prominent, influential statesman, orator and general, between the Persian and Peloponnesian wars, whose name is connected with the Golden Age of Athens. And misdeeds as humans, a beginning.